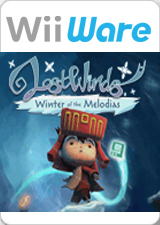 LostWinds: Winter of the Melodias follows on from the award-winning WiiWare launch title LostWinds. Enril the Wind Spirit again protects and guides the young boy Toku, powering his jumps, aiding his glides and smashing his enemies. An evil adversary binds the fate of Toku’s mother Magdi and the ancient Melodia civilization. To save Magdi, Toku and Enril must face new foes, enlist friends old and new, and wield incredible new powers – including the ability to switch the very seasons themselves – as they explore the diverse, richly interactive Chilling Peaks and Melodia City areas of the magical, stunningly presented land of Mistralis. This enchanting, exhilarating, explorative gameplay experience is bursting with new ideas that make exceptional use of the Wii Remote controller. The awesome power of the Wind is back in the palm of your hand. The graph below charts the compatibility with LostWinds: Winter of the Melodias since Dolphin's 2.0 release, listing revisions only where a compatibility change occurred. This page was last edited on 15 January 2018, at 07:59.